Next, I used the mini alphabet punch board to spell out the word “FALL” from orange textured cardstock. Trim the paper so it is 1.5” x 2.5” to start. 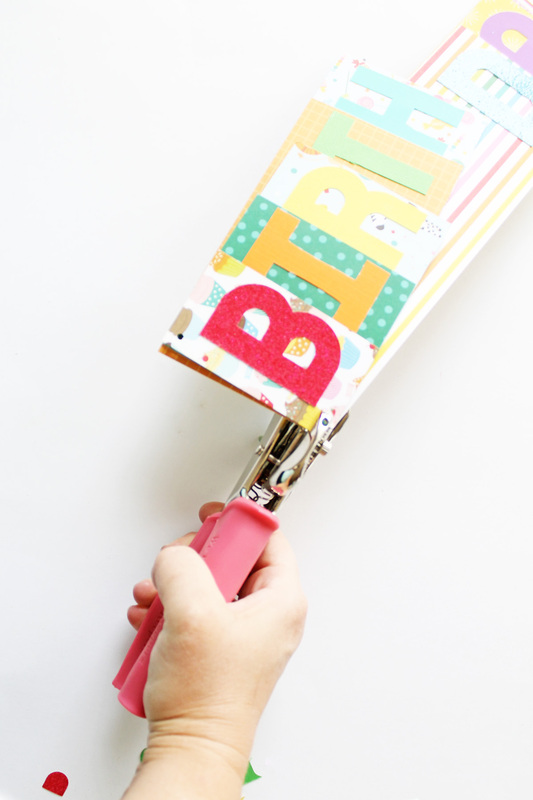 Use the instructions for the mini alphabet punch board to guide you in how to punch and cut the letters. Since the letters are small, I decided to add a brown rosette behind each one. 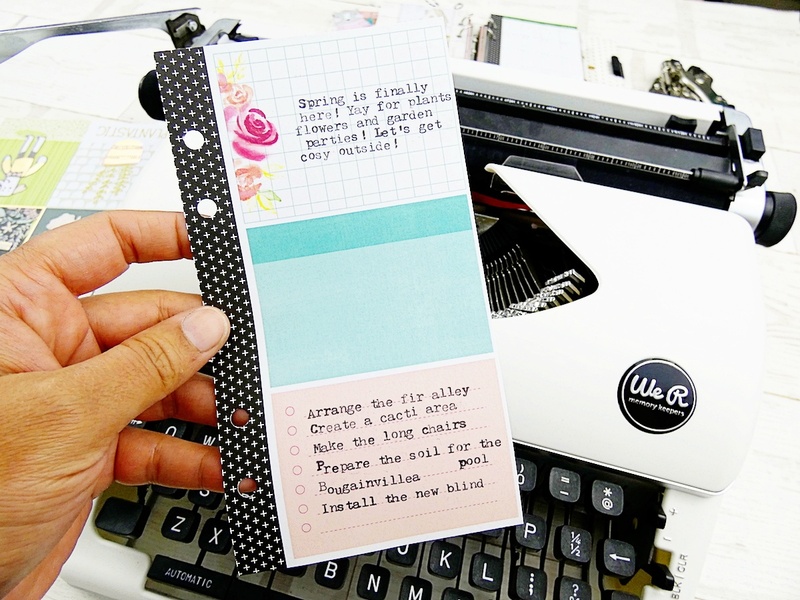 Use a piece of textured brown cardstock and the trim & score board to score your paper every half inch. 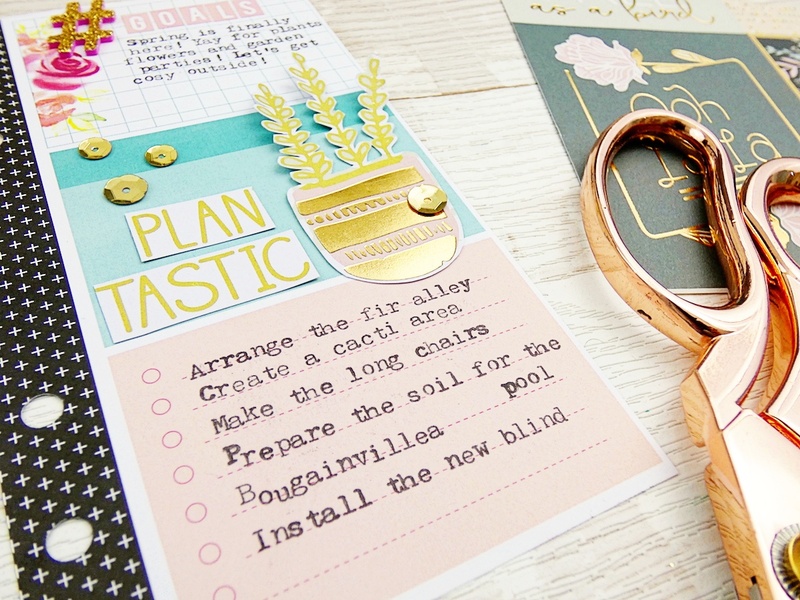 Use the rosette punch to create a decorative edge on the paper. One I had the entire 12” x 12” paper punched along one edge, I trimmed the paper, so it was only 2” wide by 12” long. Fold the paper accordion style and then use hot glue to attach the ends of the rosette together. Use hot glue to secure the middle of the rosette so it stays together. I attached the letters to the rosettes using hot glue, and then attached the whole thing to my banner pieces using hot glue, as well. I added some pretty fall ephemera to the two end banner pieces and the letters. I attached all the banner pieces together using brown and white baker’s twine. Tie each piece together using a small bow. I love the way this banner turned out. I will be able to leave it up from September through November and it is the perfect way to start my holiday decorating this year. 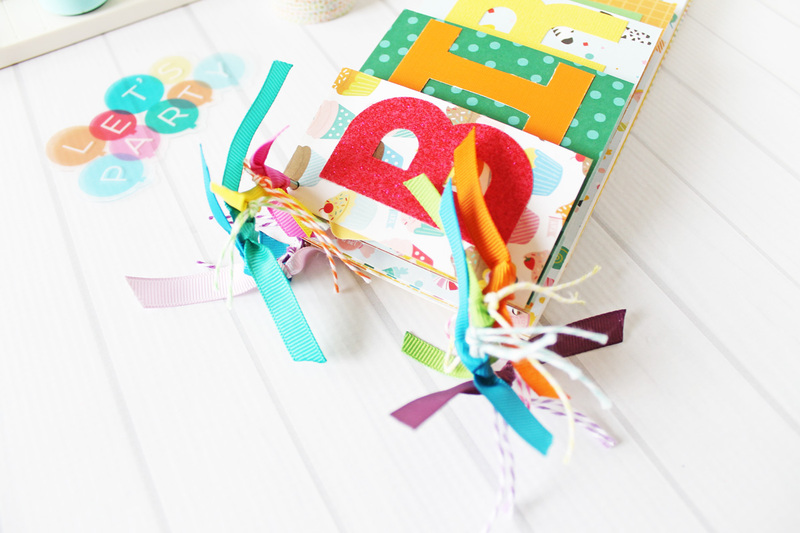 The rosette helps to make the letters stand out while also providing a fun detail to the banner pieces. Adding the ephemera to both the letters and the end pieces ties the whole banner together to create a beautiful display piece for fall. 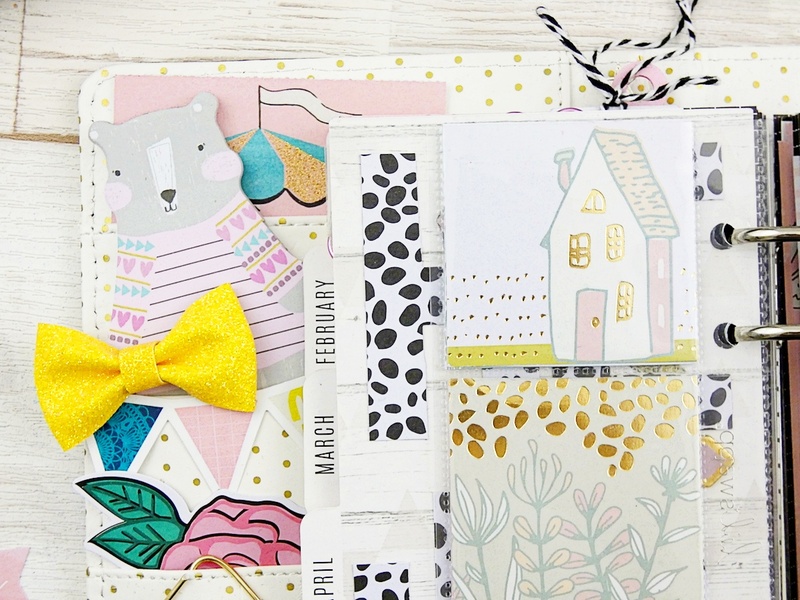 Hello and Happy Friday crafty friends! 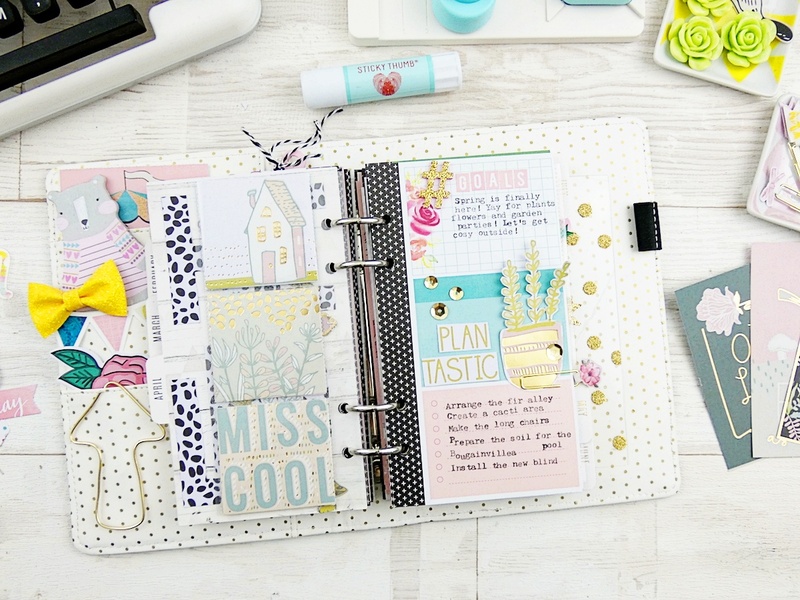 Aly Dosdall here with you again to share a project I made with my current favorite color scheme–Blush Pink, Mint, Teal, and Cornflower Blue. 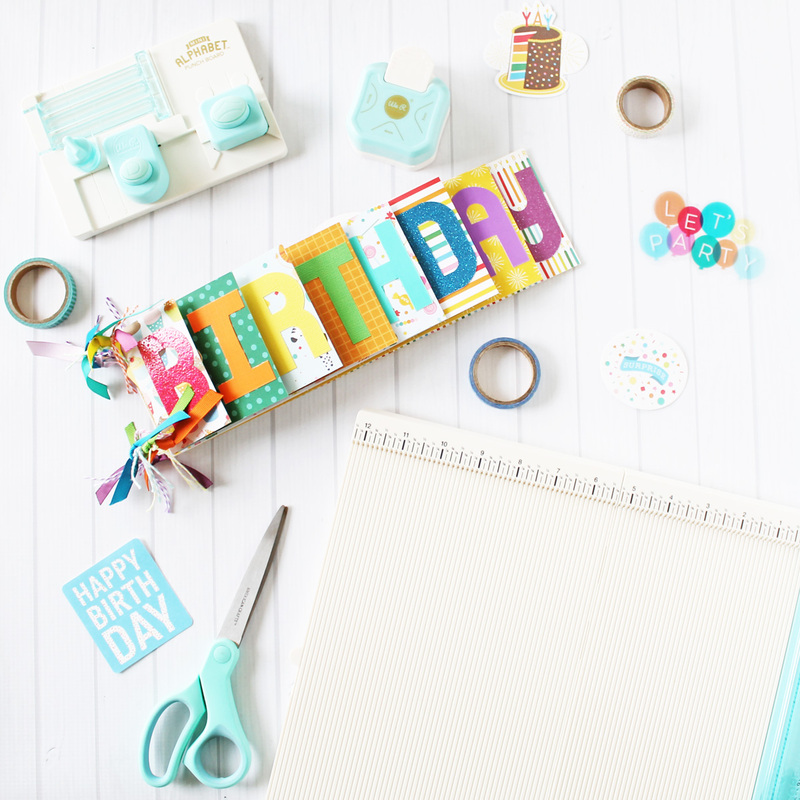 I recently renovated my craft room and I’m really an aqua/teal kind of girl. My decor before the renovation was mint, teal, blue, aqua, green and brown. But I’m loving all the blush pink I’ve seen paired with those colors recently, so I’ve started following suit. 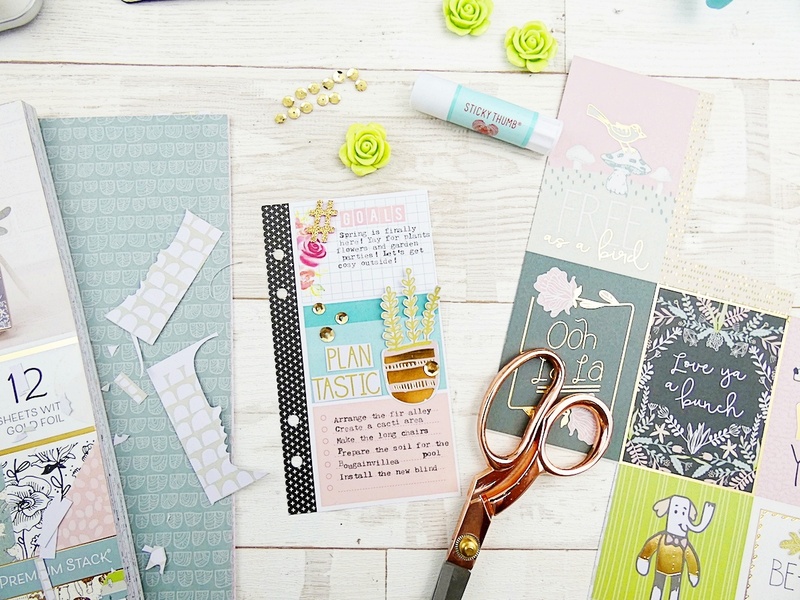 I started by grabbing papers in my favorite colors from the Crate Paper Oasis and Maggie Holmes Chasing Dreams collections. 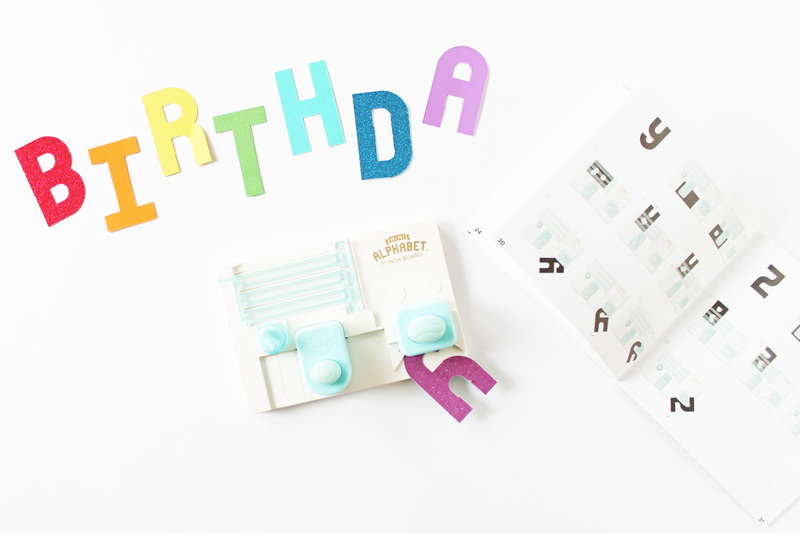 First I made a “family” banner with my Mini Alphabet Punch Board. To speed things up I grabbed my Square Punch Board and punched out four 1 1/2 x 2 1/2 inch rectangles, and one 2 1/2 inch square (for the letter M). Then I used my Alphabet Punch Board app to create the letters for my banner. I used washi tape to secure the yarn to the back of the letters. I chose a yarn color to match my color scheme, and then tied it to my folding ruler. I added a few embellishments, including a tropical leaf I made with the Happy Jig and some green wire. Then I made some photo frames with my Frame Punch Board to display some of my favorite family photos. 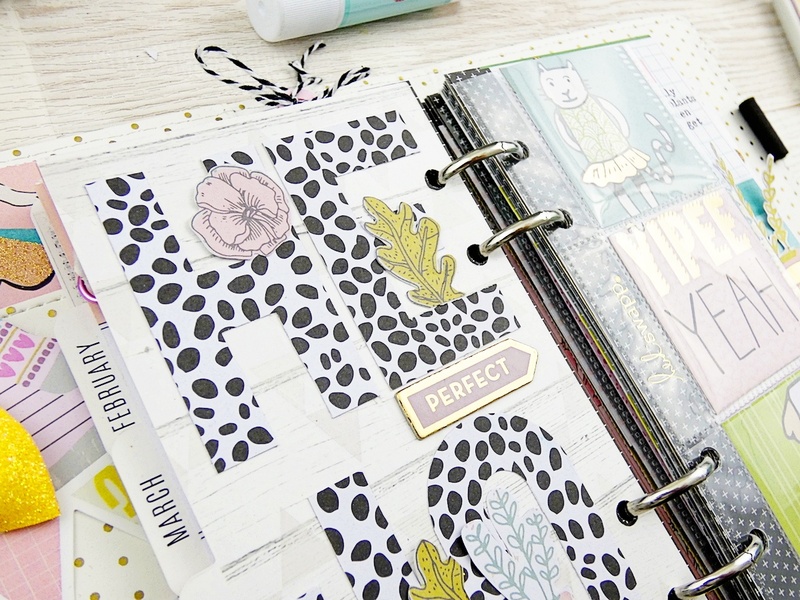 I added some more embellishments, including another Happy Jig tropical leaf. Once I finished decorating my folding ruler as the focal point on the wall above my desk, I surrounded it with wall decor in the same color scheme. I love having my family photos on display over my work area, along with my favorite colors, patterns, and images. It inspires me as I work, and it makes me happy when I look at the wall. Thanks for stopping by, and have a great weekend! Hello friends, Laura here this Monday with a Father’s Day gift idea for the special dad in your life. 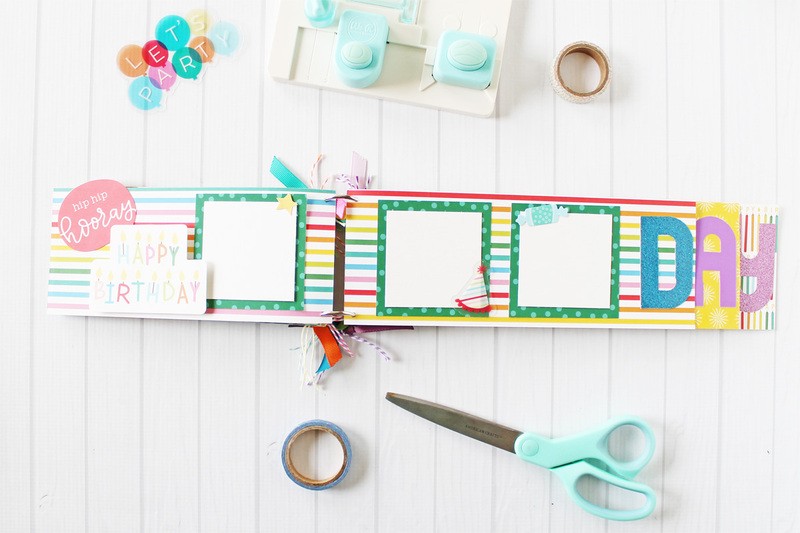 I created a little mini accordion banner book that says, “I ♥ DAD” when opened. 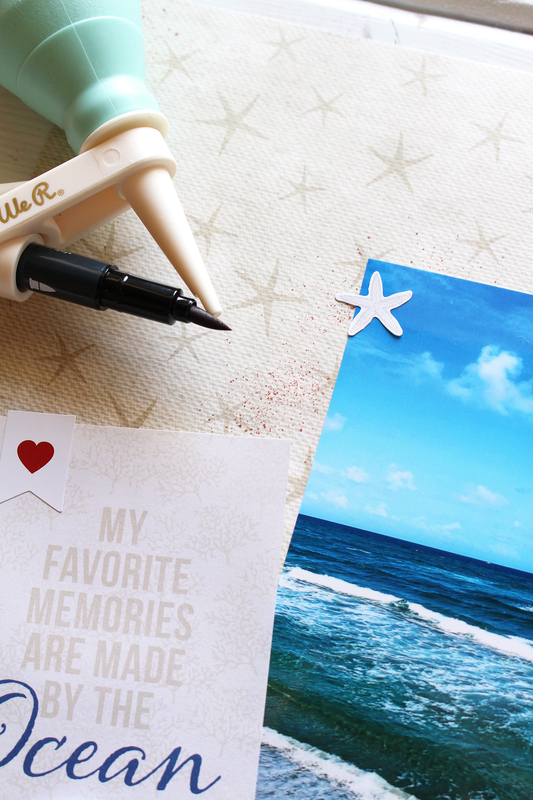 There are a few places to add photos to make the gift personalized for your dad. 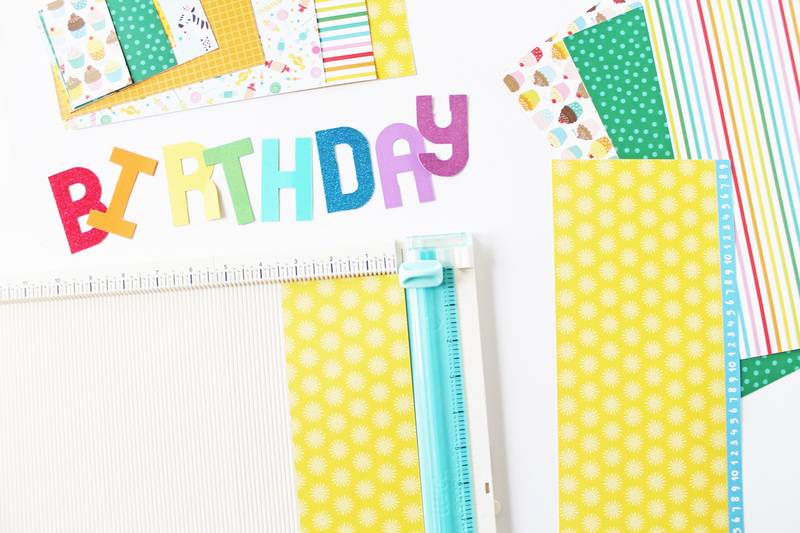 I started by created ten banner shapes using my paper trimmer and banner punch board. I cut each rectangle to 4 ½” x 6 inches using the Trim & Score board. 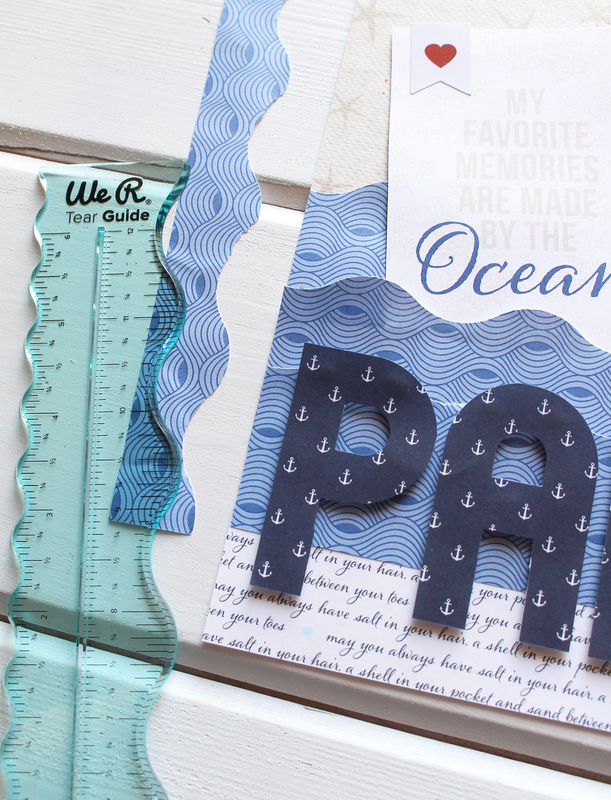 I chose various shades of blue paper from the DCWV Nautical Mile cardstock stack. I lined up one edge of the longer side of the paper with the 4-inch mark on the banner punch board. This will create a somewhat uneven banner because there will be an extra half inch on the left side of the banner shape. Use the Trim & Score board to score each banner shape at ½” on the left side of the banner shape. This will be the flap we use to connect all the banner pieces together. 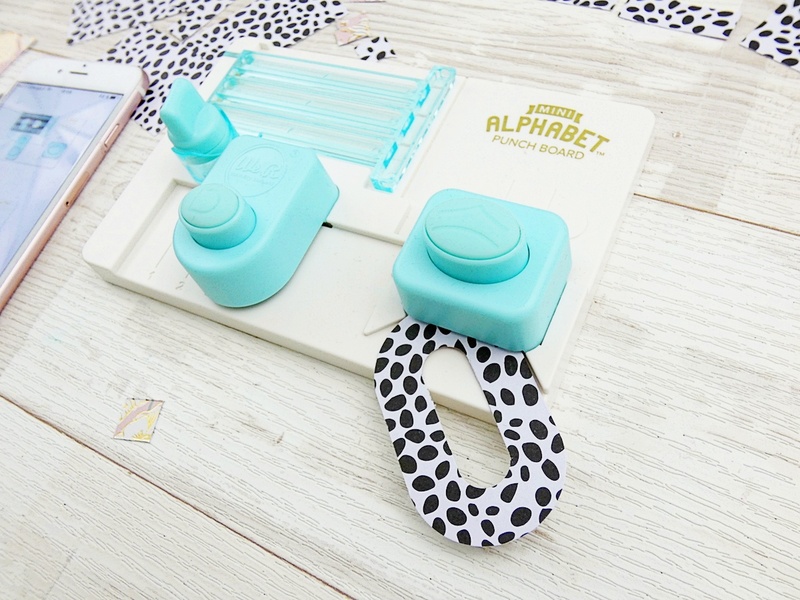 Next, I used the mini alphabet punch board to create the letters I, D, A, and D.
I created a striped heart with the Clear Cut heart punch. I wanted to make little tags to place each of the letters and heart onto. The tag punch board made this easy. I cut rectangles that were 2 ½ x 3 ½ inches using my Trim & Score board. Then, I used the tag punch board to create the tag edges and punch a hole in the top. I added a red eyelet to the top of each tag using my Crop-A-Dile. Now that I had all the pieces cut out, it was time to assemble the book. 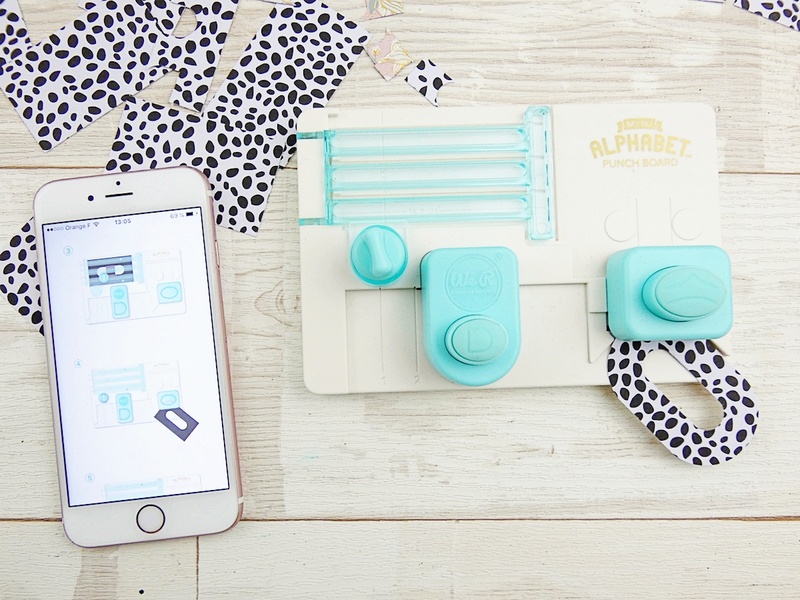 Use adhesive to attach each letter and the heart to a tag shape. Then, attach each tag to a separate banner piece. 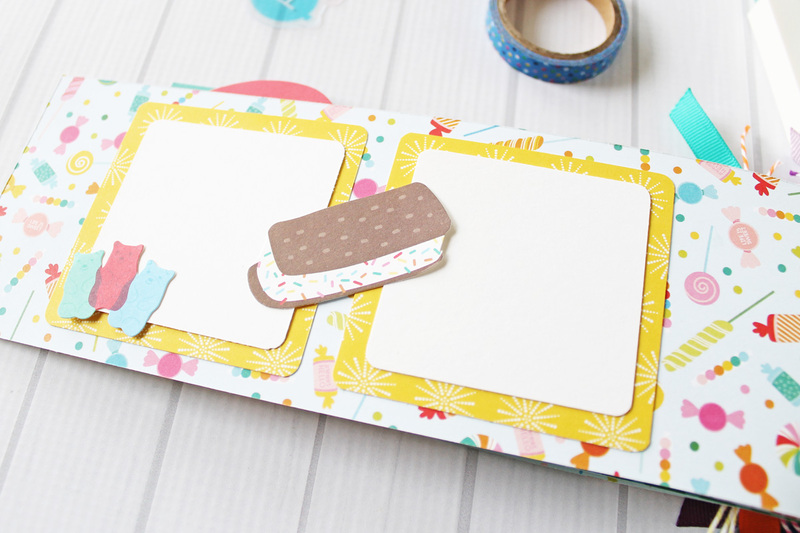 To assemble all the banner pieces together, use adhesive to attach the flap of one banner to another one. 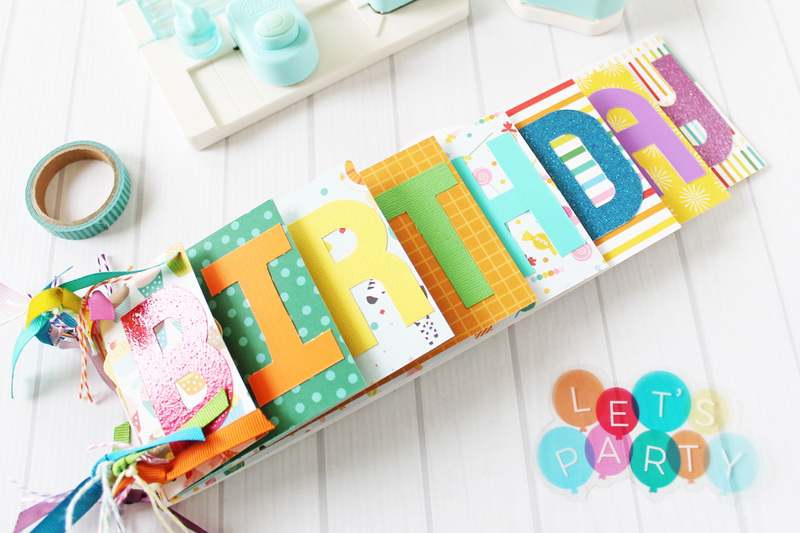 Leave a blank banner between the letters and the heart on either side. There will be a slight overlap where you glue the banner pieces together. 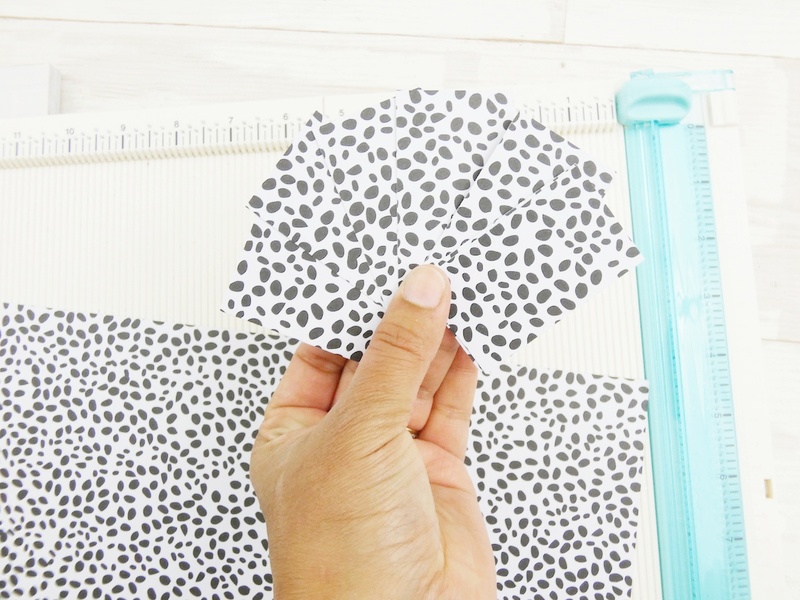 Simply trim off the excess paper using your scissors. To create a more finished book, I glued the first and last banner piece to the back side of the banner piece next to it, so there was a total of ten banner pieces, but only eight banner pieces show when the book is spread out. 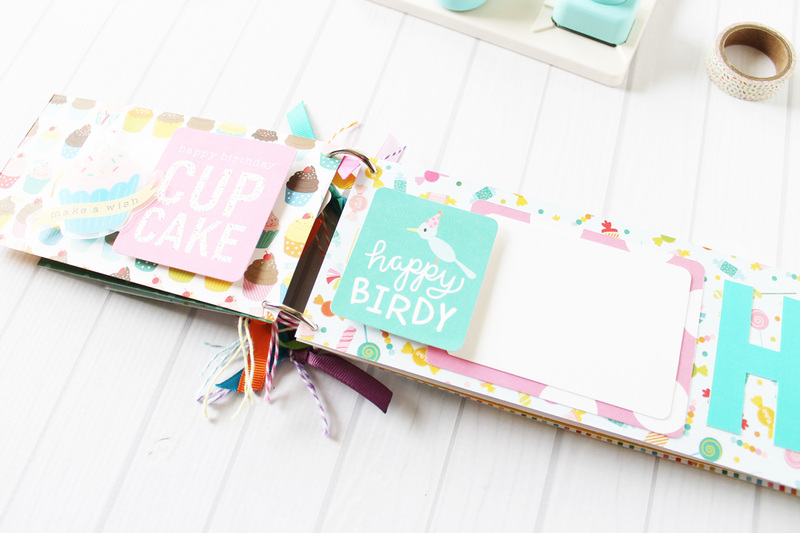 I also added a little ribbon into the pieces I glued together on the front and back, so I could tie the book together on the left side when it was closed. Once everything is glued together you can fold the banner pieces like an accordion to close the book. The book was cute as is, but I thought it would be fun to add pictures of the kids to the inside. I resized black and white photos of the kids to 3 x 4 inches. I printed them on my home computer, trimmed them down and added them to the blank pages. On the front cover I matted the picture on an extra piece of patterned paper that matched the letters inside. There is room to add two more pictures on the last two pages of the book, so you could add up to a total of five photos. Dad can flip through the album with it tied together, or you can spread it out like a traditional banner if you untie the ribbon. Hello We R Fans! 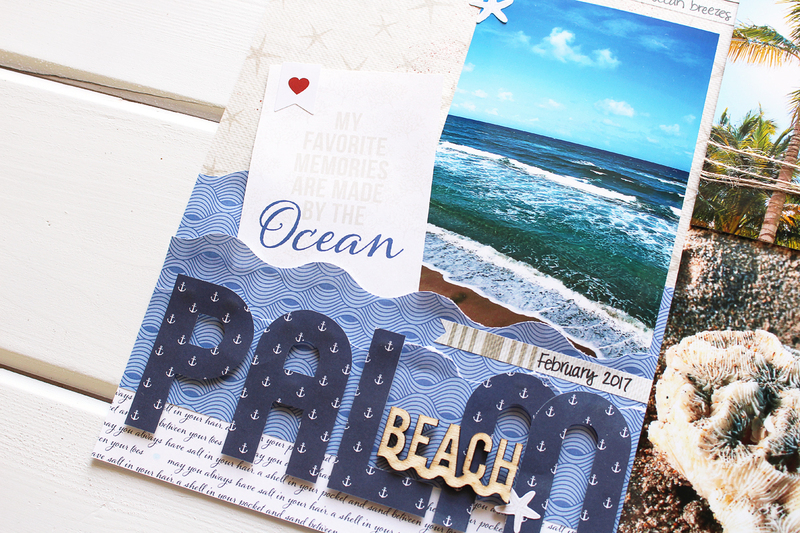 Its summer and time to take those vacations to the beach. And then when it gets too hot outside, you can head into the air conditioning and work on making layouts. 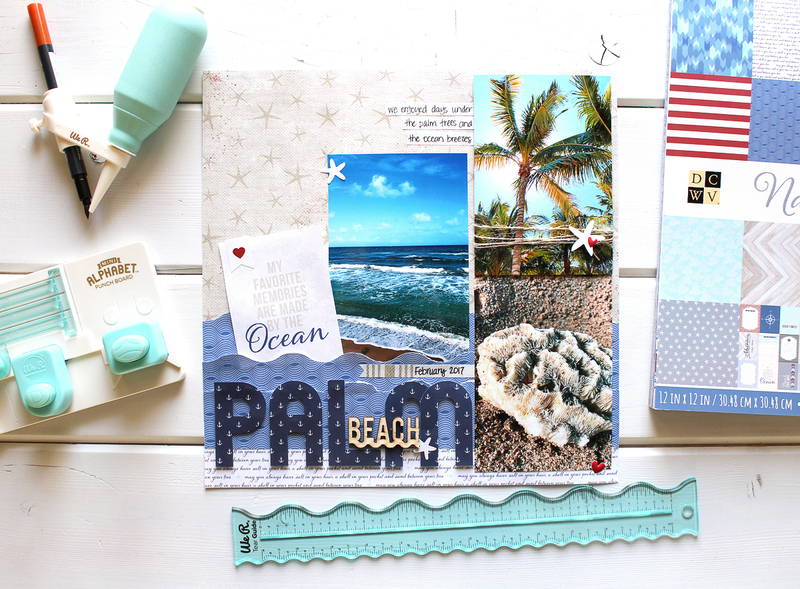 We R Memory Keepers has some great tools to add some beach-y finishing touches to your next layout. 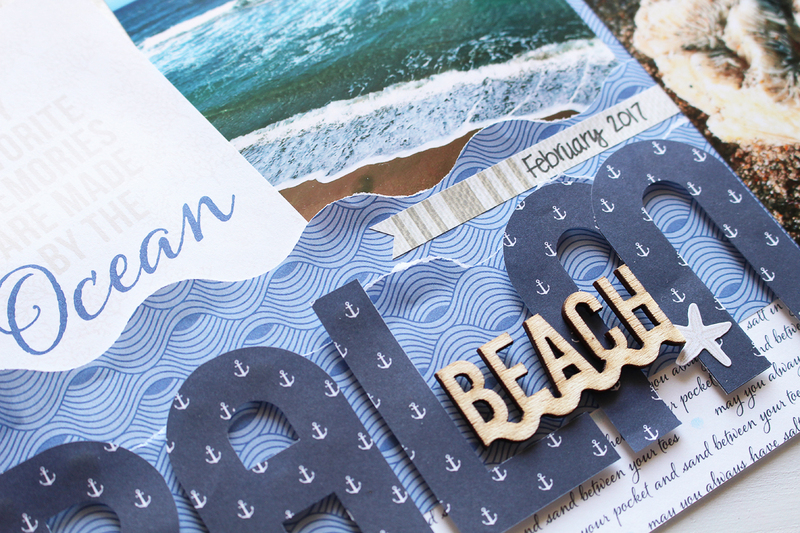 The DCWV Nautical paper pack was the perfect fit for my beach photos. The soft blues and tans, with a pop of red was the perfect color palette. 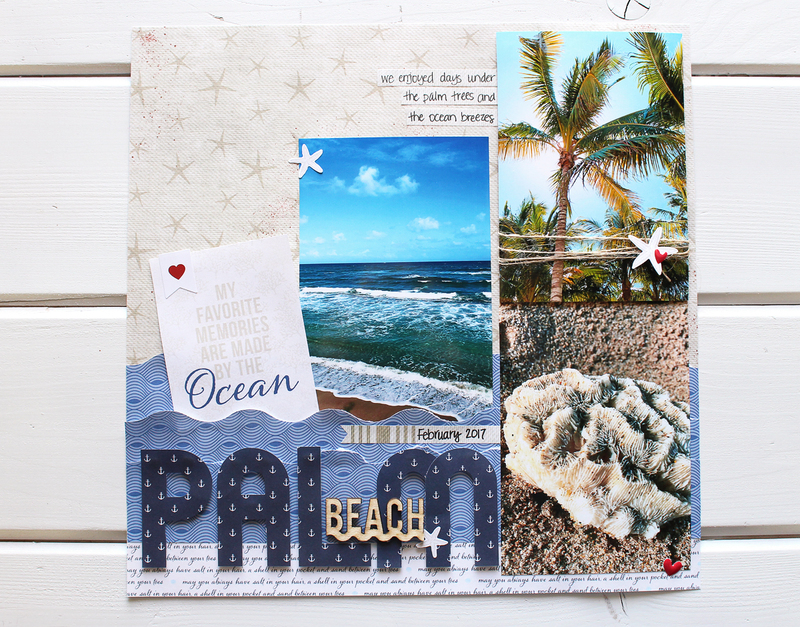 To make the papers pop and to add texture to my layout, I started by creating some waves using the We R Memory Keepers Tear Guides. The large wave guide was perfect. I placed the paper underneath the guide, applied water with the brush included in the set, and tore my paper easily. This paper pack is thinner in weight, so I found that I could tear it without the water. I love the bit of distressing the tearing adds. It’s like white caps on the waves. 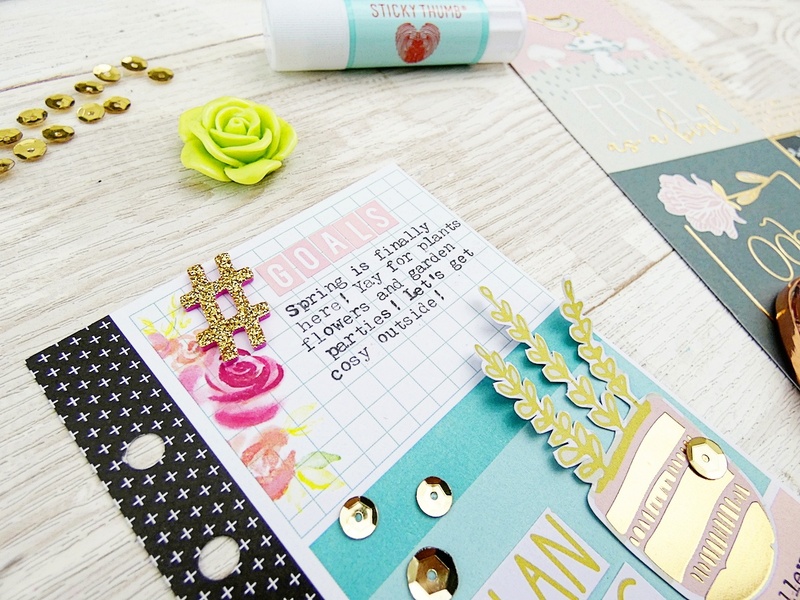 The layering of the papers also gave me a great place to tuck a photo and a decorative journaling card. To add the effect of sand, I used the We R Memory Keepers Marker Airbrush. A brown marker, with the cap removed, was slid into the holder. The marker is secured in place with a small screw that you twist tight when the marker is in place. The end of the Airbrush is a bulb that is squeezed. When the bulb is released, air passes over the marker tip and leaves color behind on the paper. I found that a marker with a brush tip brought a nice amount of color. Not only did it add to the feel of sand being everywhere, but it also added more texture. 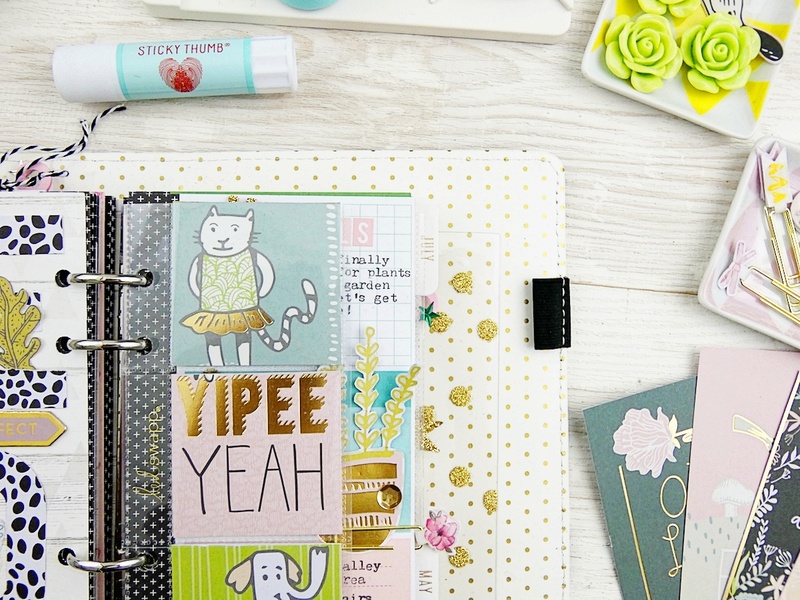 A favorite element of mine to add to any paper crafting project. 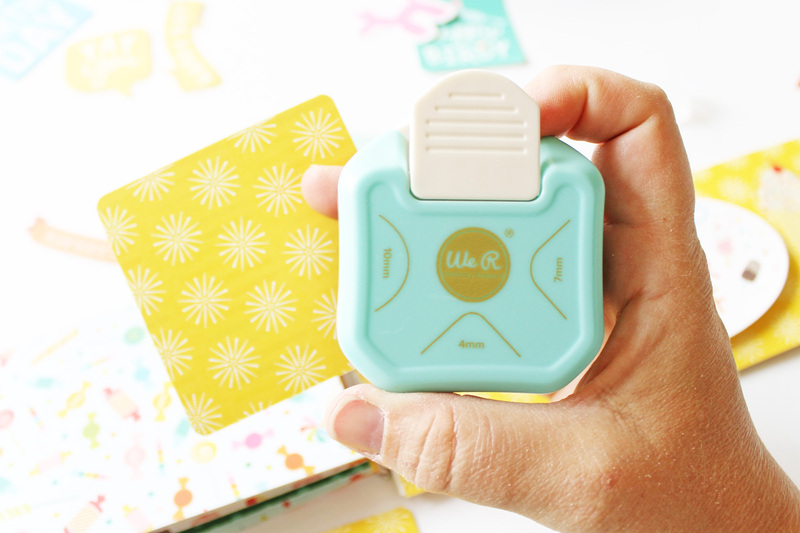 To create the largest part of my layout, I used the We R Memory Keepers Mini Alphabet Punch Board. Perfect for making titles. To add more dimension to the letters, they were adhered down with foam squares. How do you like to add texture to your layouts? 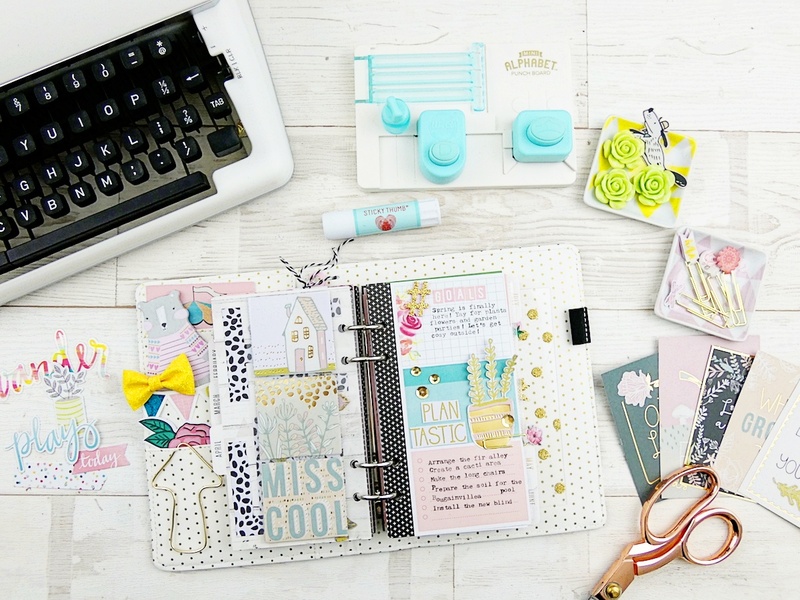 Hello everybody Soraya here with you to share a new planner spread using the wonderful typewriter by We R Memory Keepers: the Typecast! 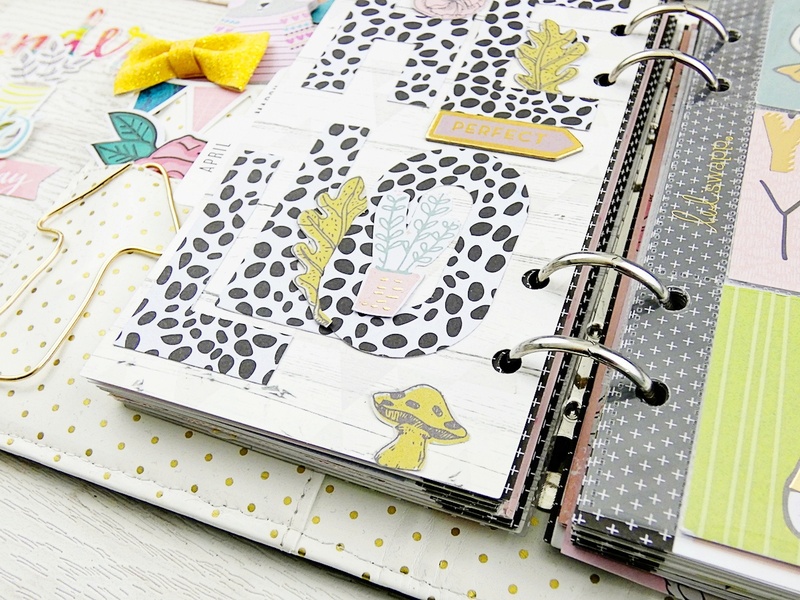 It is so easy to add journaling and stories to our projects. It also adds such an authentic look! 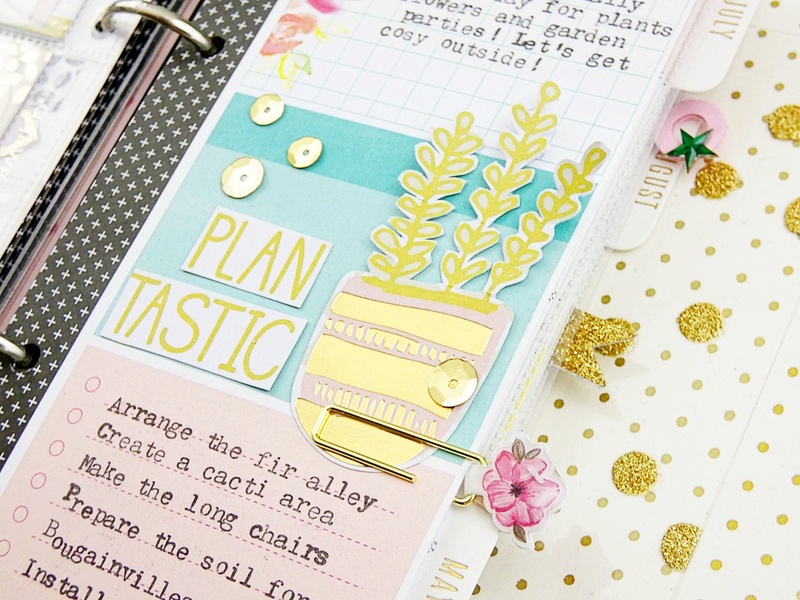 When I decorate my planner, I love adding lovely embellishments, tags, stickers… and journaling! Yes, the words are definitely an embellishment for me. Wether with the Typecast or with our hand writing, the words we use can immediately give some great dimension! This is what I did for this pread, I created a spring bucket list. 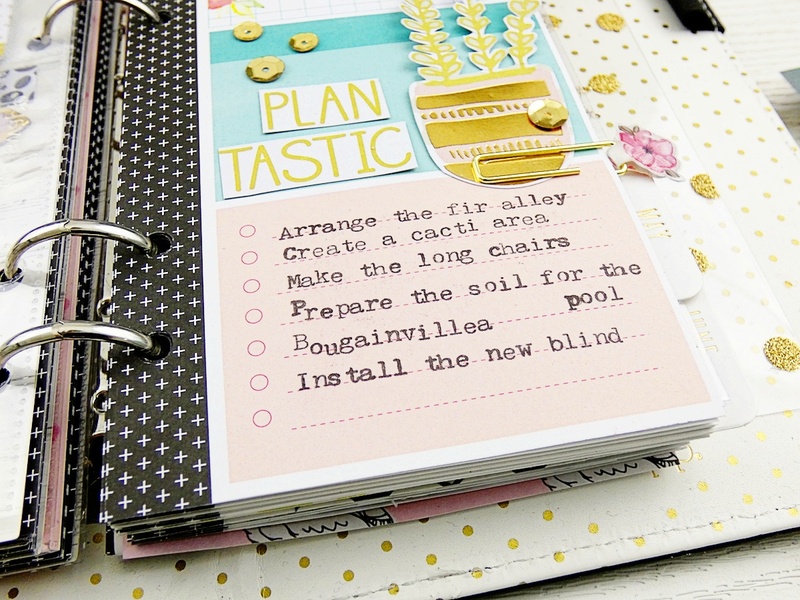 Using the Mini Alphabet Punch Board is also something that I love to do when it comes to decorating my planner. 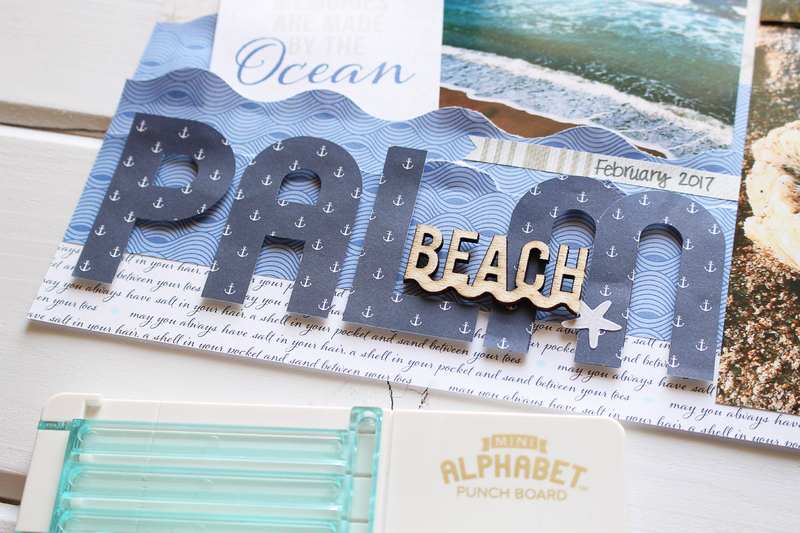 Those little letters are so cute, I could put them anywhere! 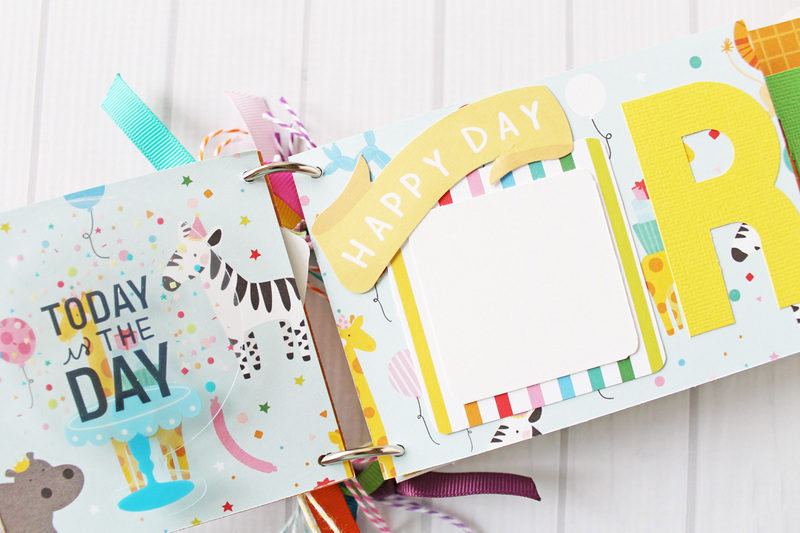 So here is a “hello” that will welcome the spring pages. 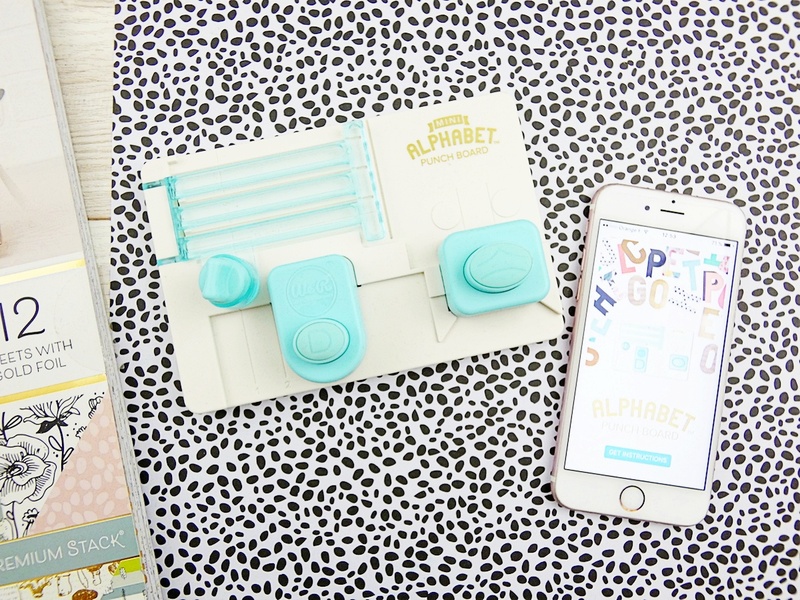 I followed the instructions on the Alphabet Punch Board App directly on my phone, it’s way cooler! 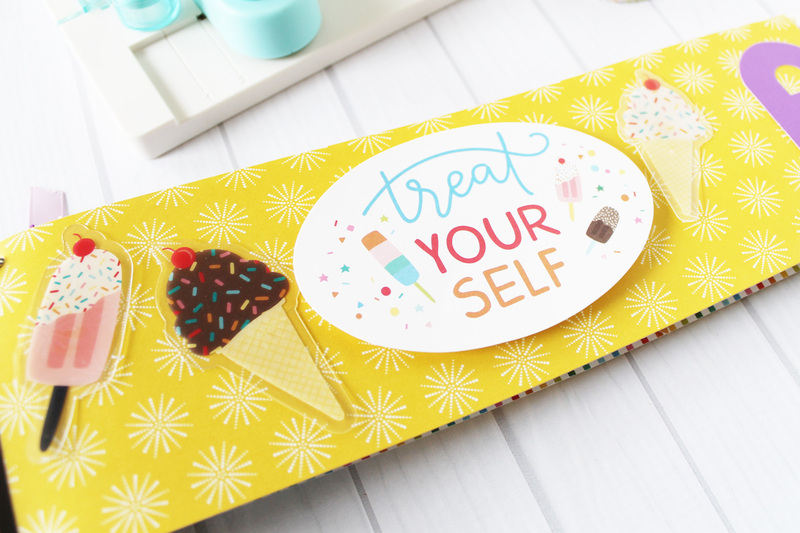 As you have to use little paper rectangles (1.5 x 2.5 inches) with the mini board, I cut them out with my fabulous Trim & Score Board. And here we go! 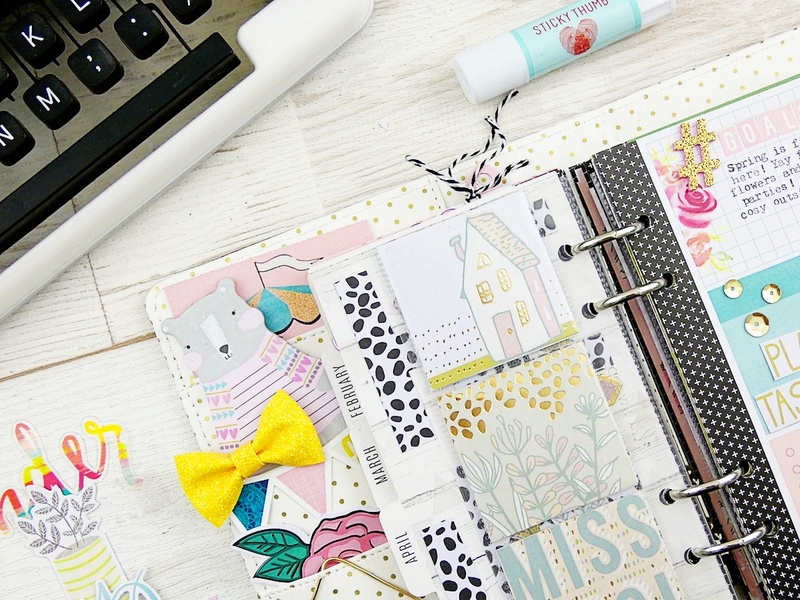 How cute is this spring divider? I added extra leaves and a flower to showcase the letters. And voilà! 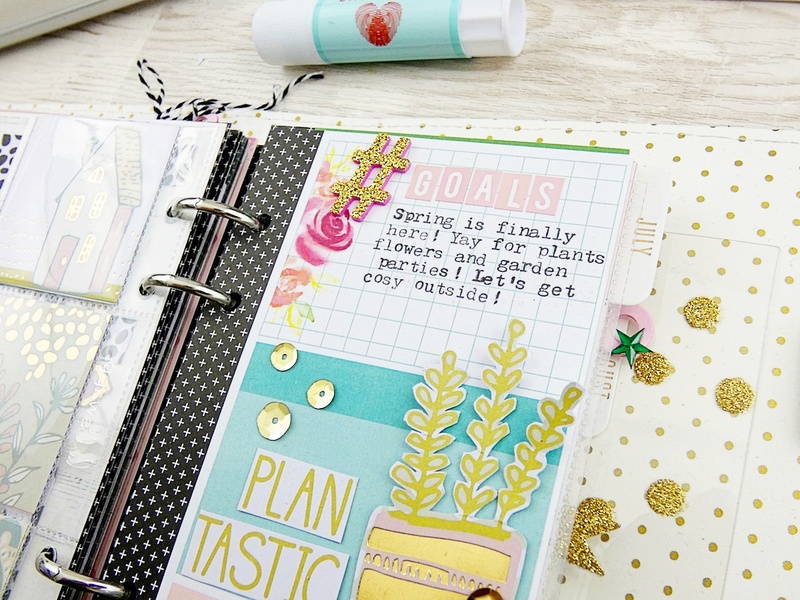 My planner spread is finished, my spring bucket list is up. Let’s jump into the pages! 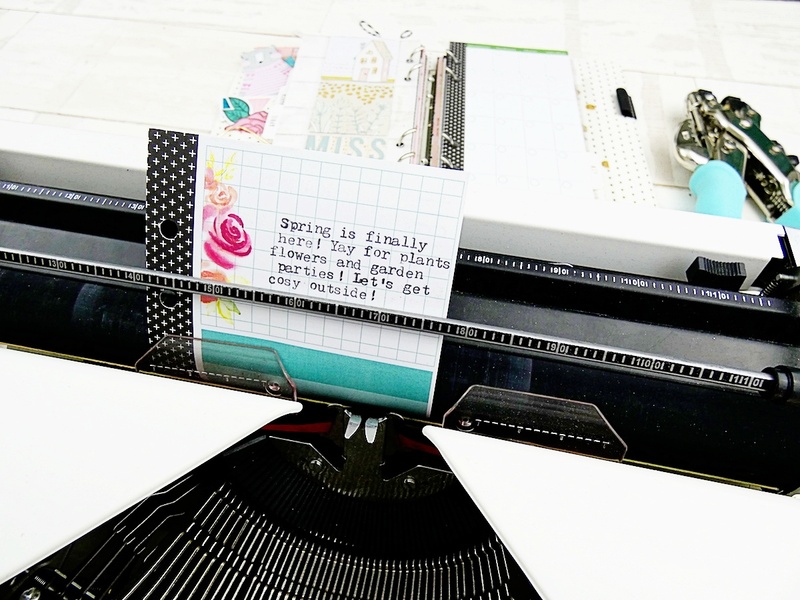 I hope you had fun joining me today, as you can see the Typecast typewriter is an essential machine when it comes to decorating with words. Happy creating to you all and until next time!